Part of business planning is arranging how data will be used in the development of a project. This is why you need a good, stable data management plan. This plan helps everyone involved know exactly what’s needed from them, and what to do if needed. 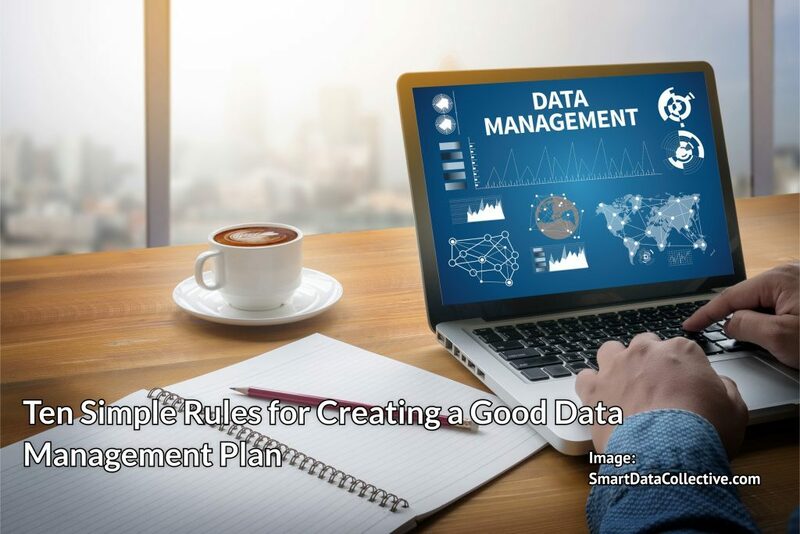 Here’s how you can write a good data management plan in ten simple steps. There could well be a lot of people involved in your project. However, even if there’s only two or three, you need to clearly define what everyone’s roles are. That way, when something needs to be done the plan can be consulted, and the right person given the task. It will save a lot of time in the long run, as no one will be passing jobs around looking for someone willing to take them on. The passive voice is ambiguous because it doesn’t define the subject. This leads to planning documents that are harder to read, because the reader isn’t sure of what’s being said. “For example, ‘A fee needs to be paid before the plan be signed off on’ doesn’t tell us much. Instead, this should read ‘The developer will pay the fee because the Department Of Parks And Recreation will sign off on the plan.’”, – says Bethanie Loo, a Data Planner from Oxessays. You want to be clear in what you’re actually collecting, and why. Make a list of every type of data that needs to be in your data plan, and the justification for doing so. This gives everyone a go to answer if questions need to be answered later on. As you write, be aware of how many words you’re using. Often, planning documents are bulked out by extra words and phrases that don’t add anything meaningful to the text. If it won’t get your point across, it needs to be cut. You’ll need a plan to show how exactly you’re looking to collect data. There could be several different methods, so make sure that they’re all included. At least one person will need to be assigned the task of looking over this data as it’s being collected. Once you have data, you’ll need to keep it protected as per the laws in your area. This is an important step, so be sure that you don’t skip it. Amber Coburn, an Operation manager at Essayroo comments the issue: “You also need to outline how you’ll assure that no plagiarism takes place, and cite all sources used”. As you write your plan, break up the text with headers. This clearly highlights what each section of your plan is about, making it much easier to read. As well as this, it will be easier to go back and find the information you need if you need it later on. It’s vital that you know how your data will be stored. It needs to be somewhere secure, accessed only by authorised personnel. As well as this, you need to have back up plans, in case of hard drive failure or other disasters. A good way of doing this is by having it in at least two different physical locations. That way, if one fails you still have a back up. Plans are often much easier to read if you use bullet points. These are especially helpful when you’re detailing the steps needed to carry out your plan. It’ll be much easier for you when you want to look back at the plan later, so they’re often the best option. At the end of your plan, write out a summary of everything that the plan covers. This means you have a short abstract of what the plan covers, and what should be done as a result of this piece of writing. It’s very helpful if you need an overview later on. These ten tips will help you write the best data plan possible. Follow them, and you should be able to cover everything that you need. Gloria Kopp is a business and data management consultant. She works as a content manager at Do my essay service. Besides, she is a regular contributor to such websites as Huffingtonpost, Engadget, Academized, etc. Read her latest post about Goassignmenthelp.